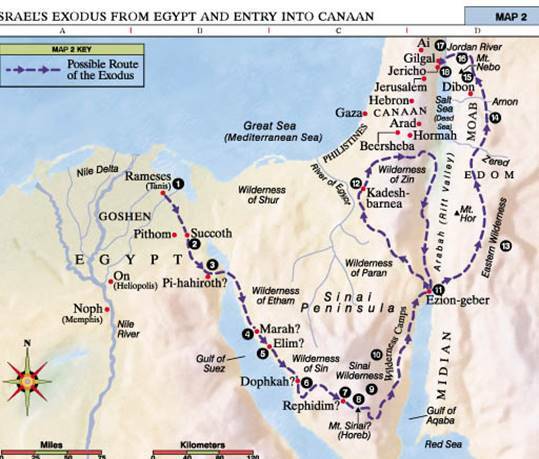 We were mainly in Edomite territory, and actually (I believe) up into Moabite territory (a map of our route is below). 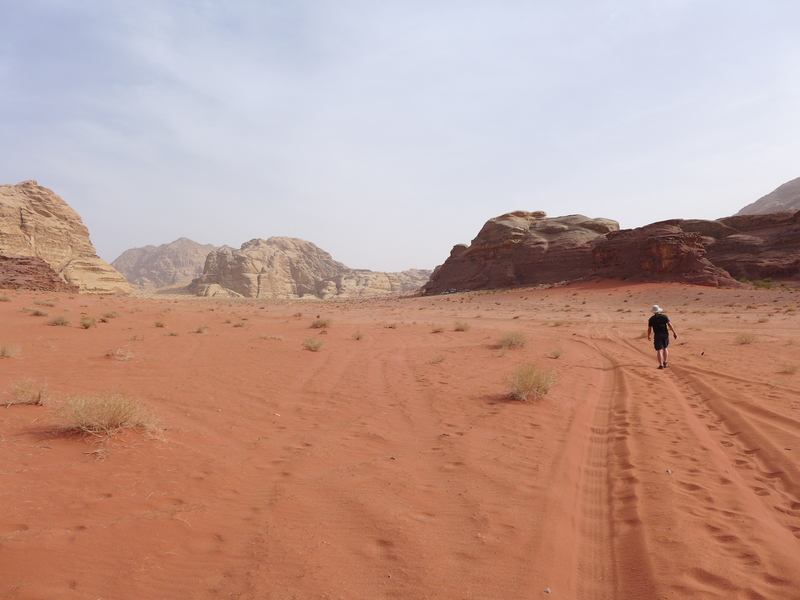 For context, here was our route in Jordan. While we covered quite a bit of ground in 2+ days, you can see how little of the modern country we saw. 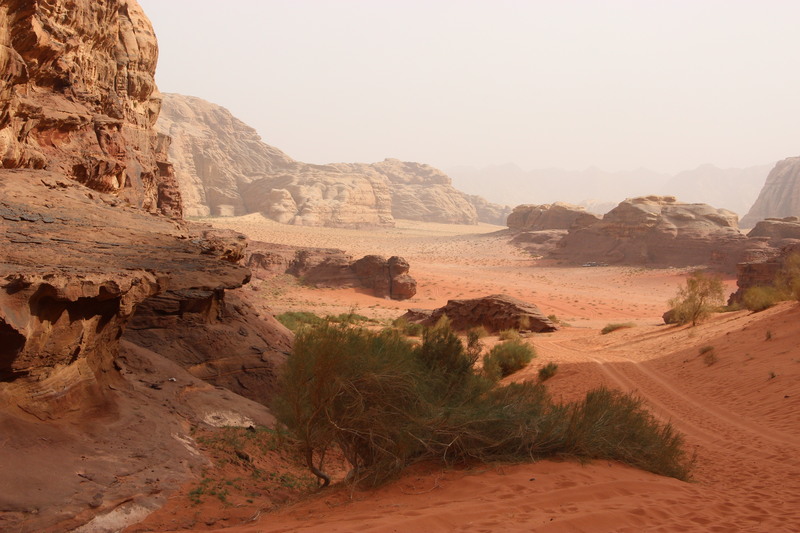 The land constituting the modern country of Jordan also factors into the bible in other ways, such as Mt. Nebo, where Abraham died. 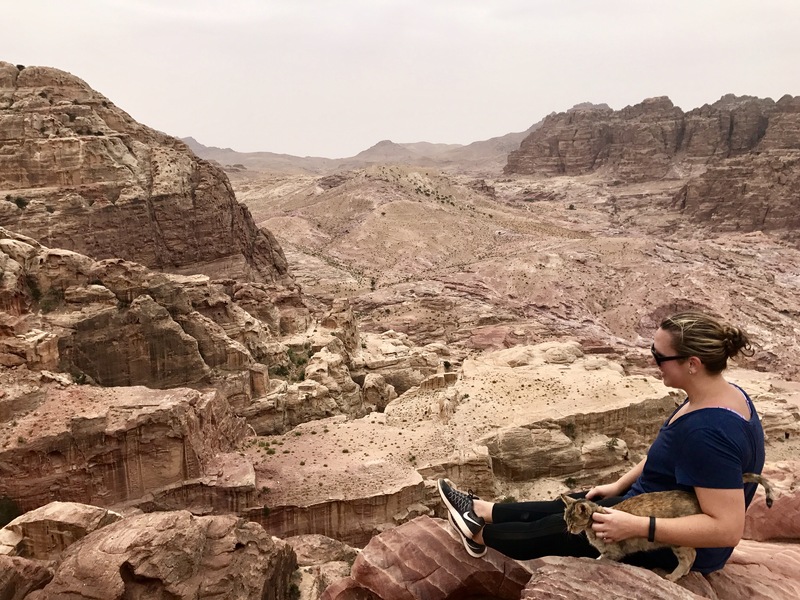 It is supposed to be on the Jordan side of the Jordan River, roughly across from Jericho (you can see it on the top-right of the map below). 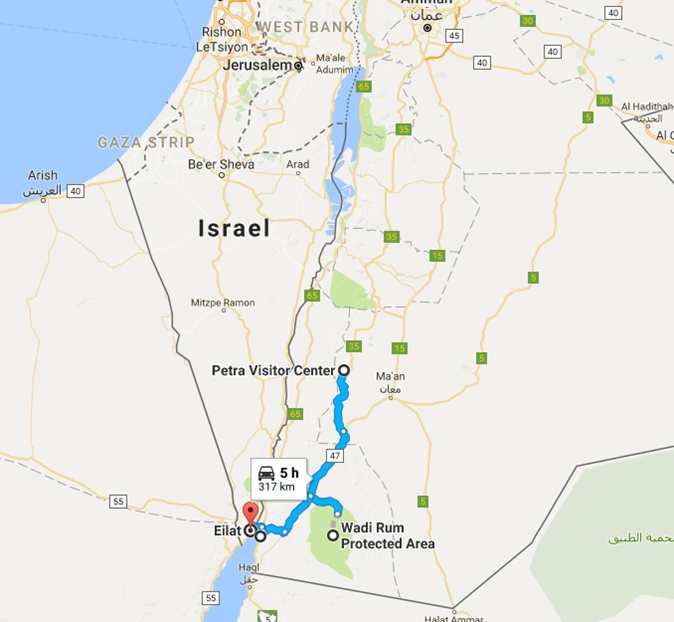 This map shows one possible route of the Exodus, and how a big chunk occurred in modern-day Jordan (to help orient you, #11, Ezion-geber, is where we crossed the border from Israel into Jordan). 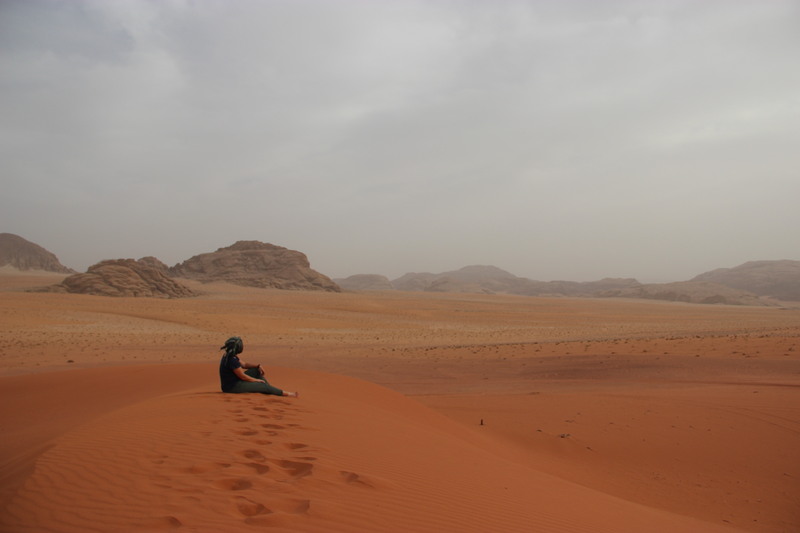 But many people think that a lot more of the Exodus happened in modern-day Jordan. 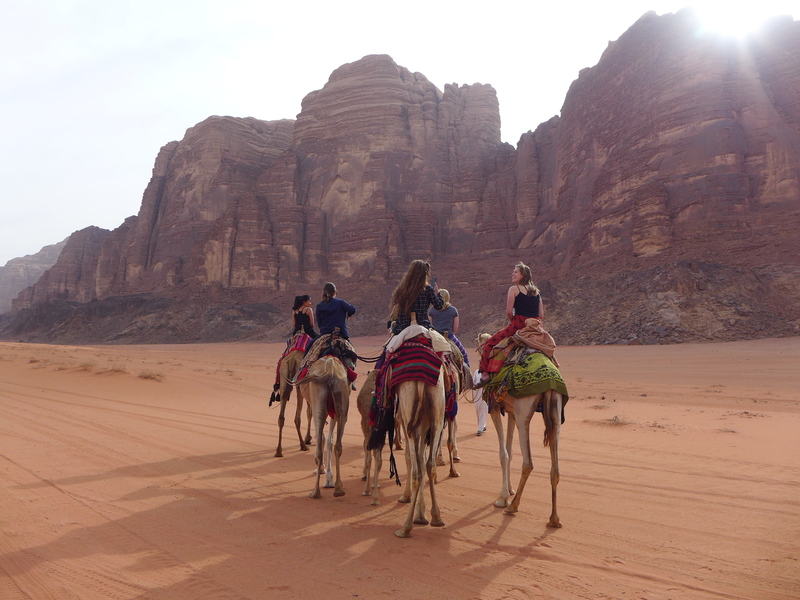 Our first destination was a full-day jeep tour through the amazing Wadi Rum desert. It’s not hard to picture the Israelites wandering through this area after leaving Egypt. Honestly, when you’re there, it’s not hard to imagine a giant column of ancient Israelites coming ’round the corner even in modern times. There’s just a sense of the ancient and vast out here. It feels untouched by the modern world. 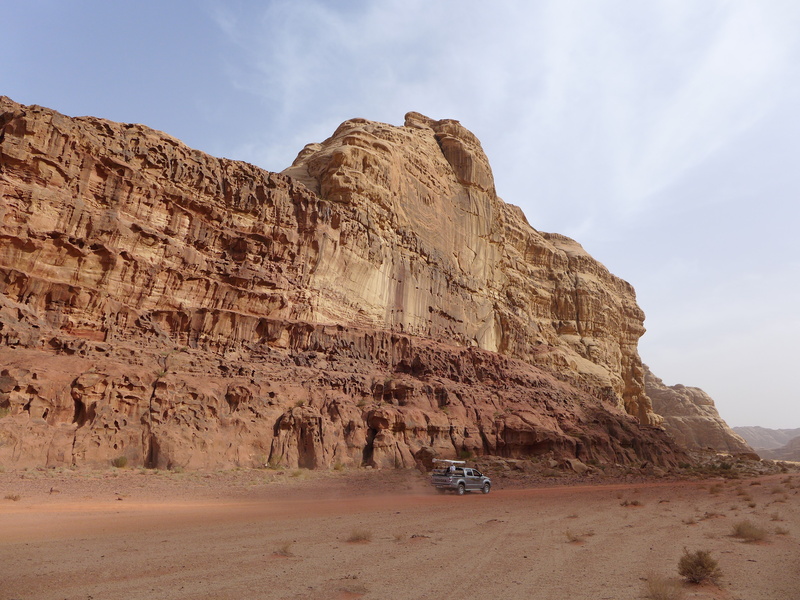 Giant pillars of rippled stone jut out of the stretches of red sand. Then every so often there’s a tiny peek of green, from underground springs. We scrambled up one of the cliffs to reach the Lawrence Spring, which was a trickle of water allowing a few leafy trees to flourish. Once we got back down, we joined our hosts for some hot, sweet tea. 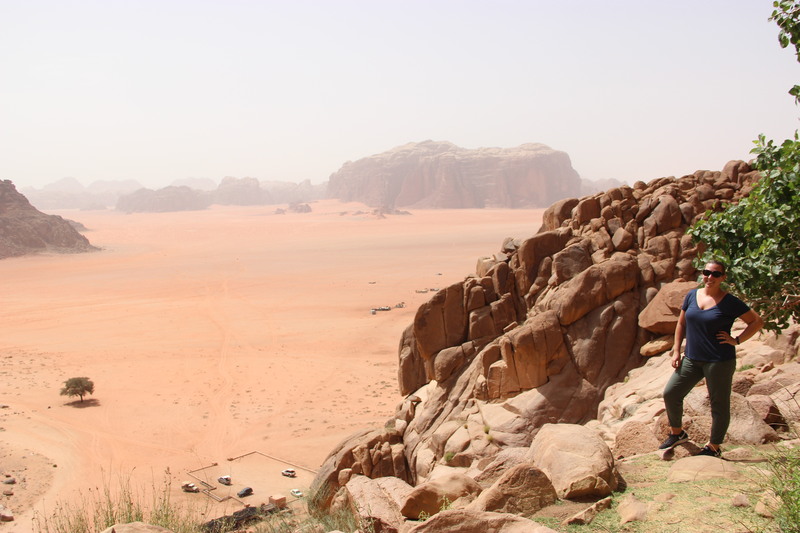 This was omnipresent in Jordan, and is central to bedouin life (this is true of most Middle Eastern cultures). You will be offered tea wherever you go, since it’s a major part of hospitality here. 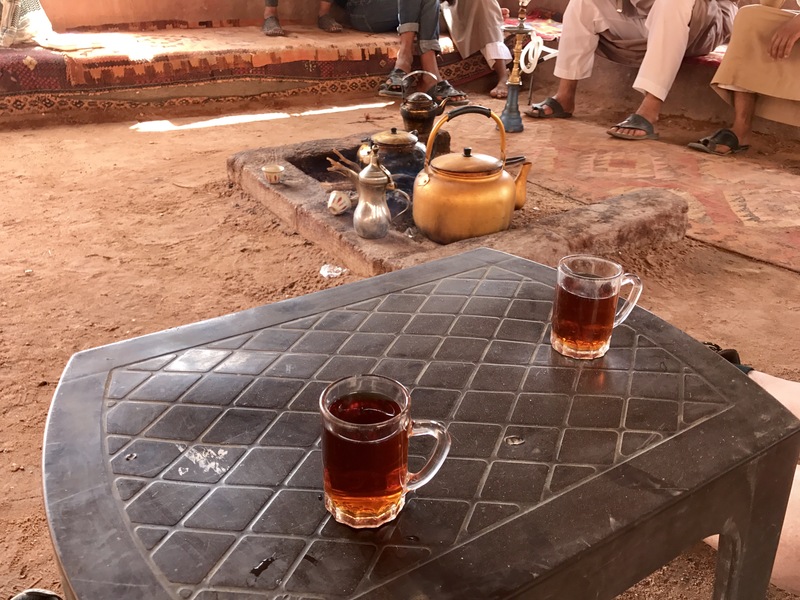 It’s surprisingly refreshing—I didn’t think the hot tea made any sense in the hot desert, but it was amazing. 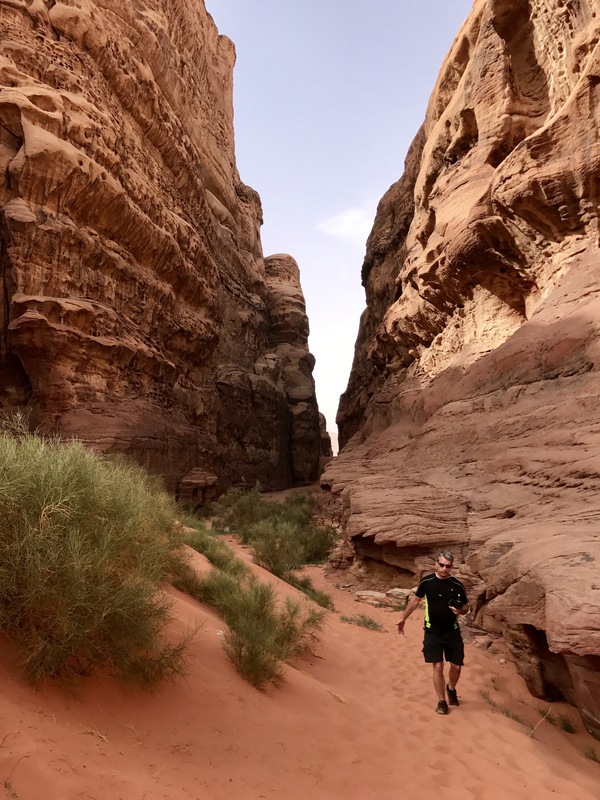 Our guide, Mohammed, took us into a cool small canyon with some Nabatean carvings. 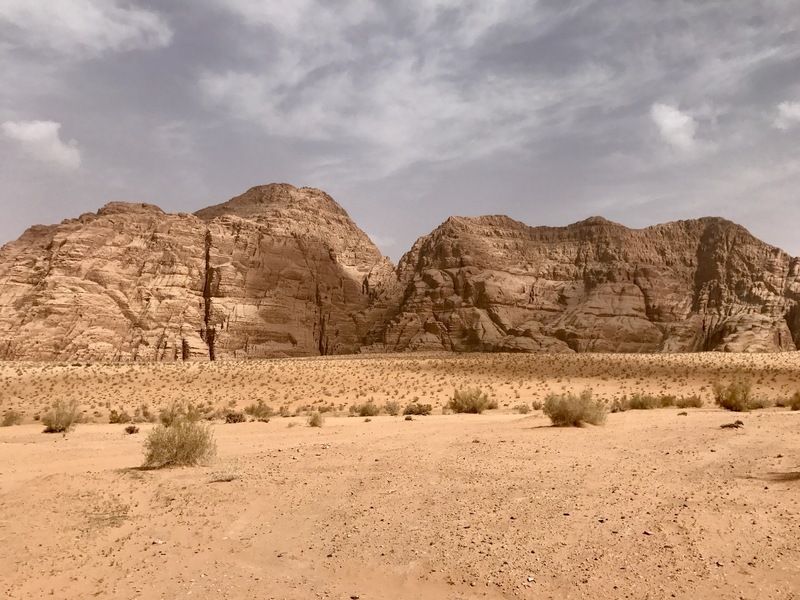 The Nabateans were an empire that arose around the time of the Persian empire and became a trading powerhouse during the time of the Spice Road. 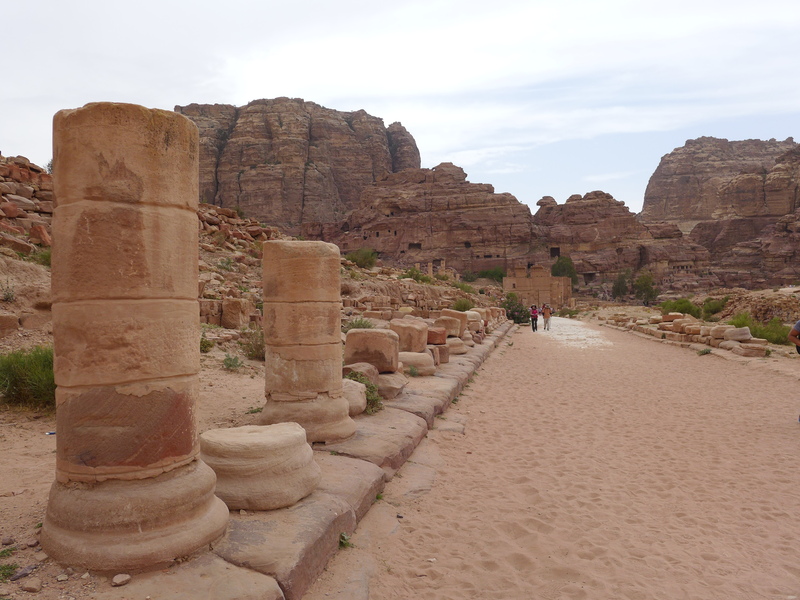 Among other accomplishments, they build Petra (more on that later), and were a pretty fascinating culture. I wish we had more info on them, it’s frustratingly sparse. 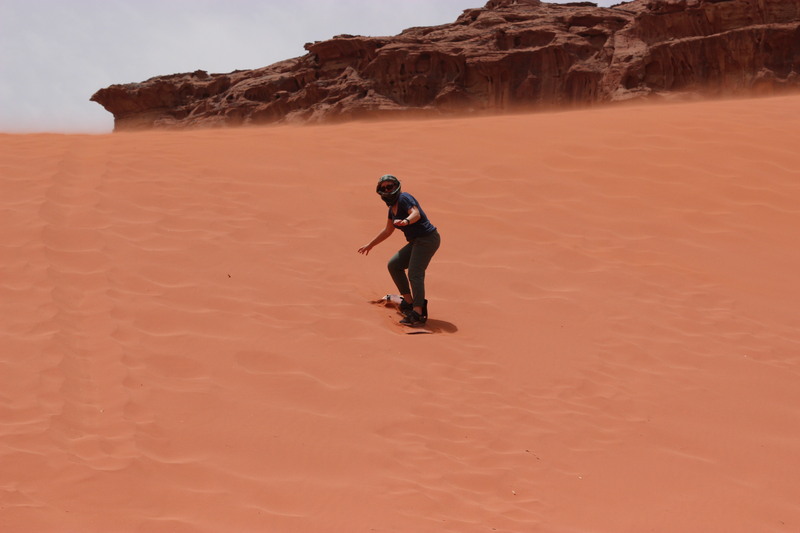 Also, in that picture below I am getting truly sandblasted. 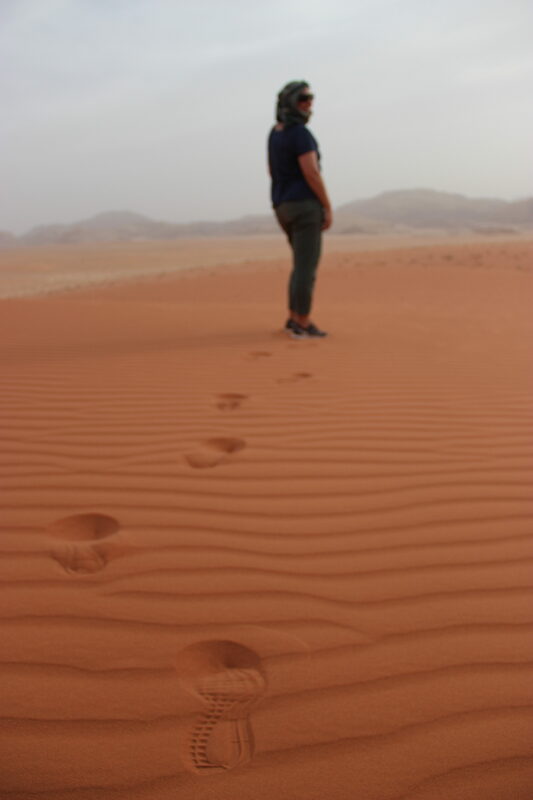 How people survive sandstorms is beyond me. 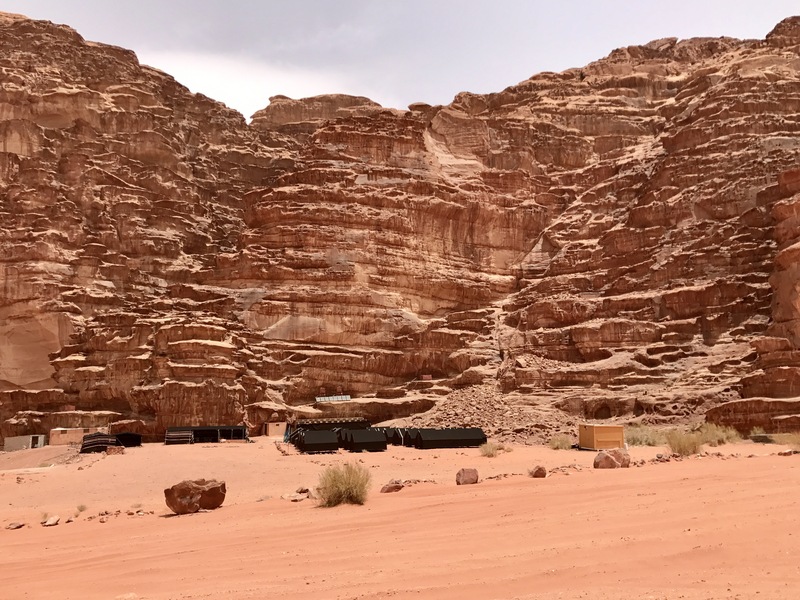 The desert is so vast, but every so often you’d catch a glimpse of a bedouin encampment. They have a knack for knowing where the wind and sand will catch them, and where they’ll be sheltered. 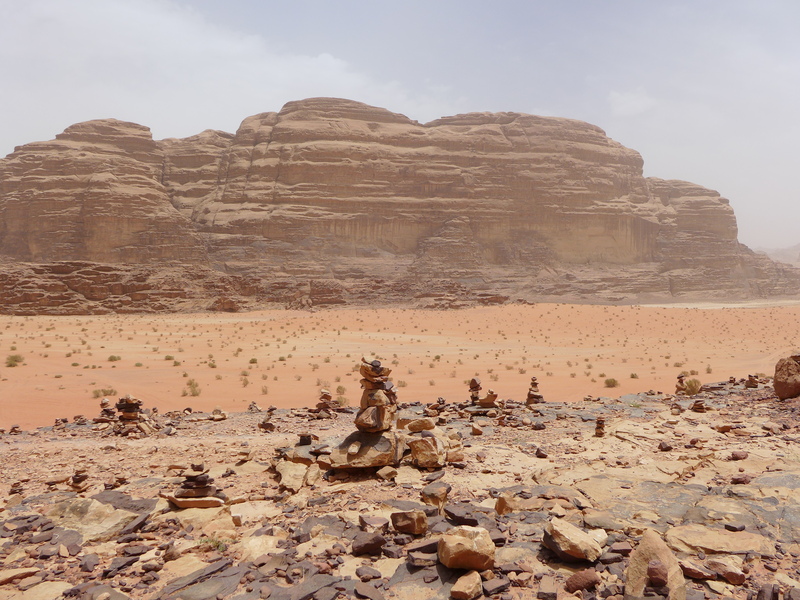 While the landscape morphed constantly over the course of our tour, its alien-ness remained constant. It is truly like being transported to another planet. 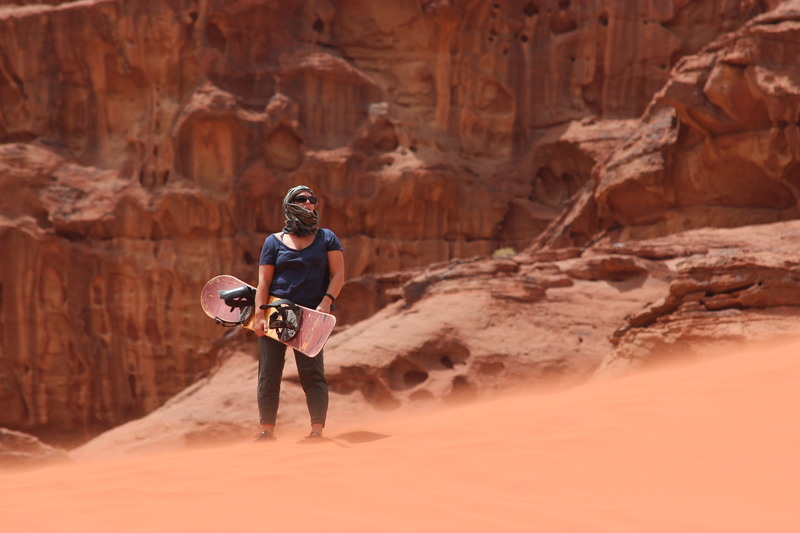 There’s a reason that they filmed “The Martian” (the Matt Damon movie on Mars) here. Throughout the day we made frequent stops for rest, shade, and more of the hot, sweet tea. 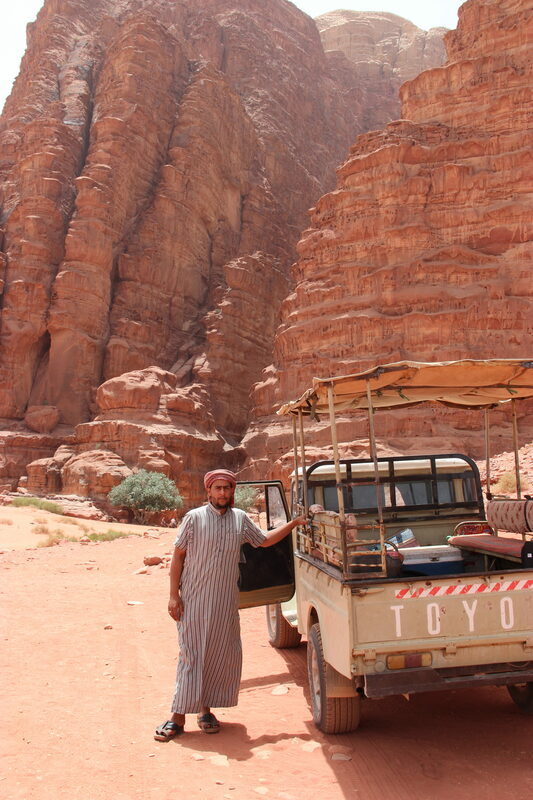 Occasionally we’d get a sighting of another tour party or join up with them for a few minutes, but mostly it was just me, Dad, and Mohammed. 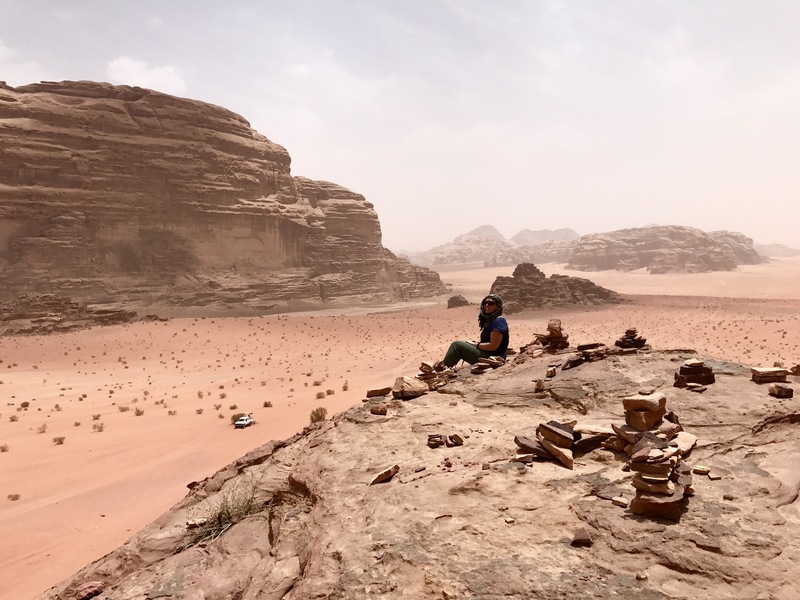 We spent the night in a Bedouin camp in the Wadi Rum Protected Area, and got to stare at the stars and eat a traditional dish cooked in a pit under the sand. 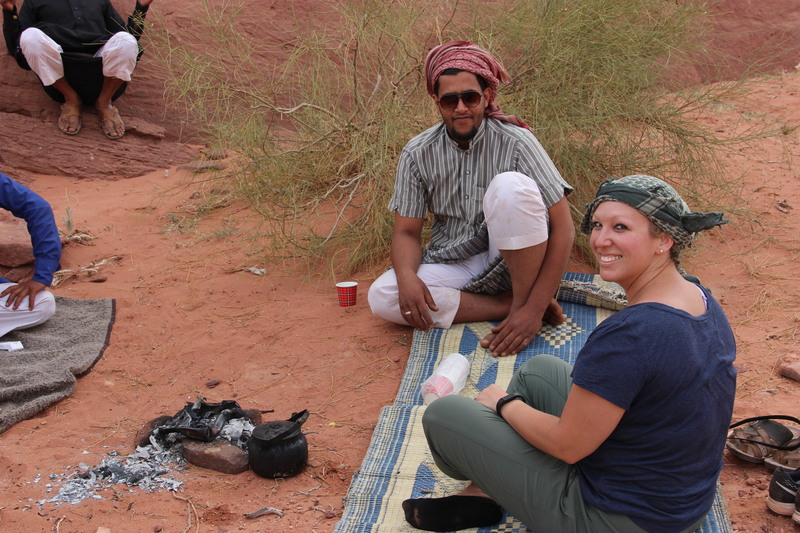 In the morning we had hot tea, halva, bread, and honey for breakfast before catching a ride back to the village. The tour company’s owner, Mehedi, welcomed us to his home and sat us down (with more tea, naturally) and then called the bus driver to come get us—we were taking public transportation to Petra, but it’s very much a culture of relationships and so little details like getting to the bus station and departing at a certain time were pretty flexible. 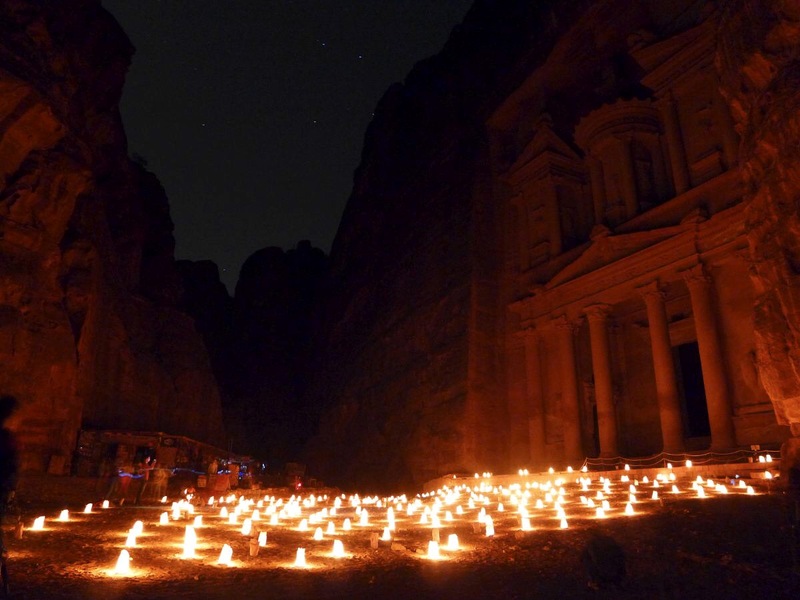 Ever since it was rediscovered, Petra has fascinated biblical and historical scholars as well as travelers. 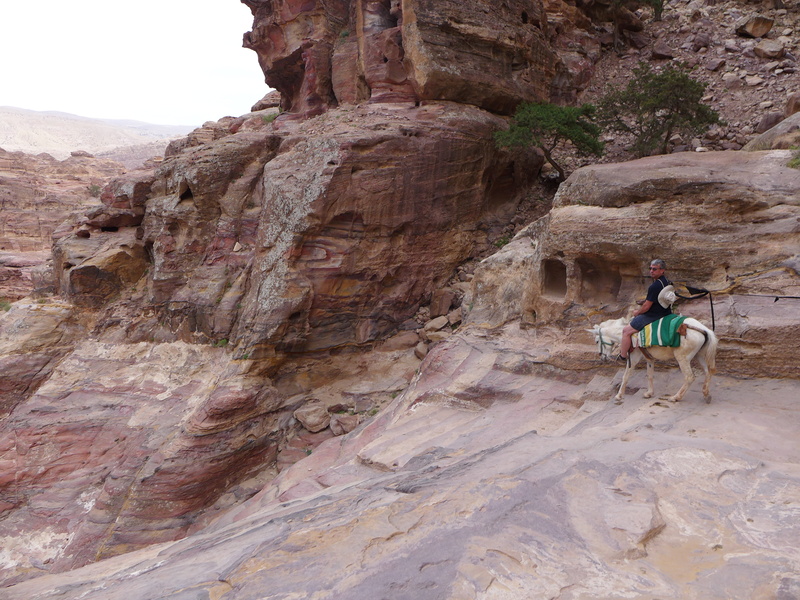 It’s unclear whether Petra shows up in the bible. 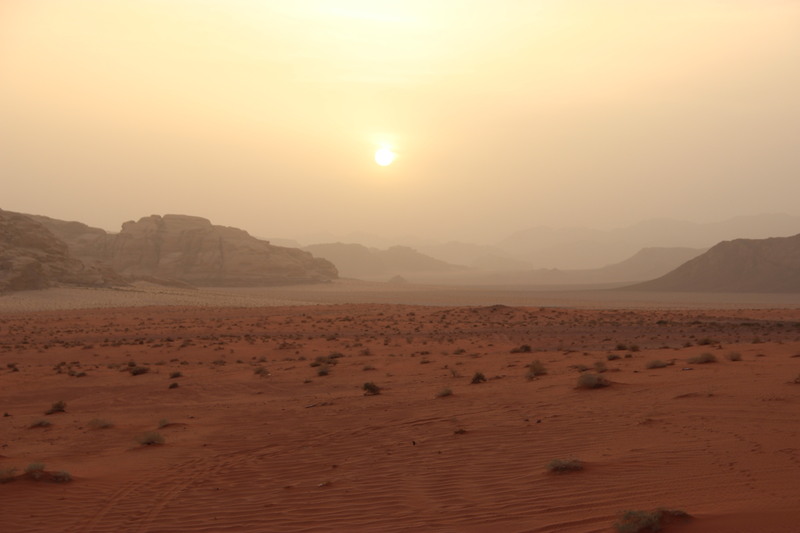 There is not a definitive mention, but it tends to come up in two different recurring biblical discussions—as the ancient area/people of Seir, and as a possible location for a future place of safety during the end-time prophetic events in Revelation and Daniel, where God’s people are nourished for “time, times, and half a time”. The “people of Seir” are mentioned in II Chronicles, for instance, when King Amaziah attacked and killed them. 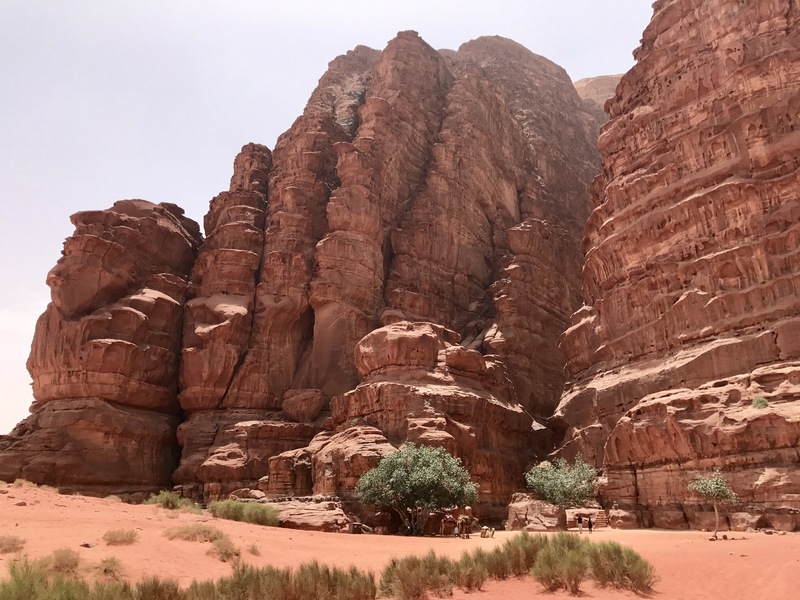 It’s said he led his people to the Valley of Salt (which could be a reference to the Spice Road that went through Petra) and a couple verses later references the slaughter of the Edomites (II Chron. 25: 11-16). 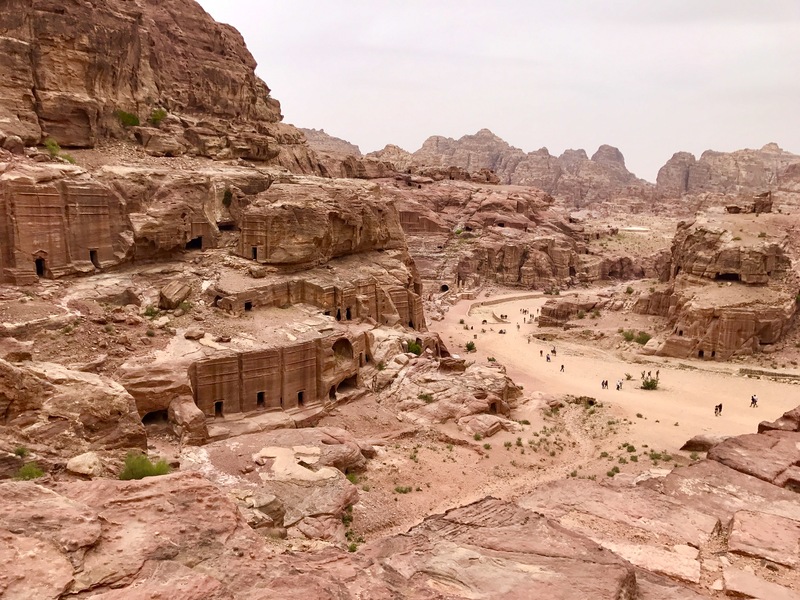 The idea of Petra as the prophetic place of safety is a much bigger study than I’m going to get into here, but the arguments for it are definitely interesting. Honestly, only time will tell. 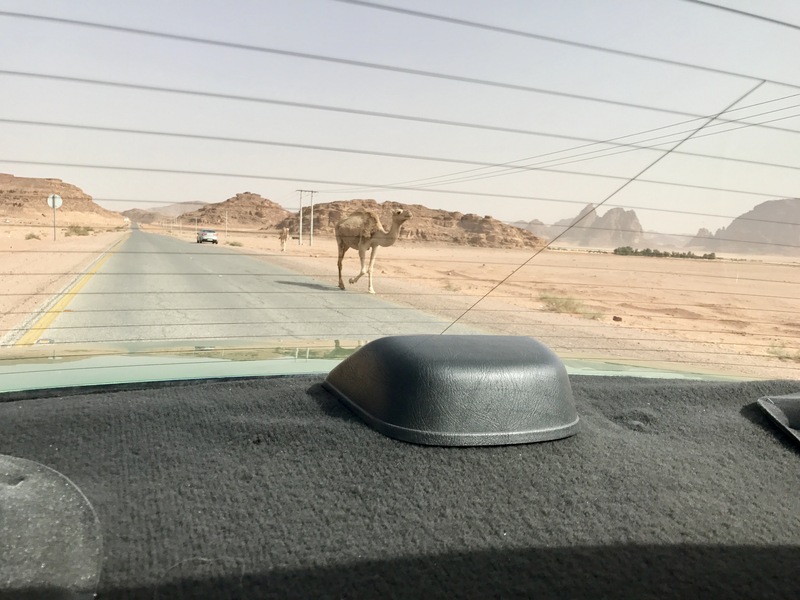 One other interesting note—Wadi Musa is the town right outside of Petra, where you actually stay. 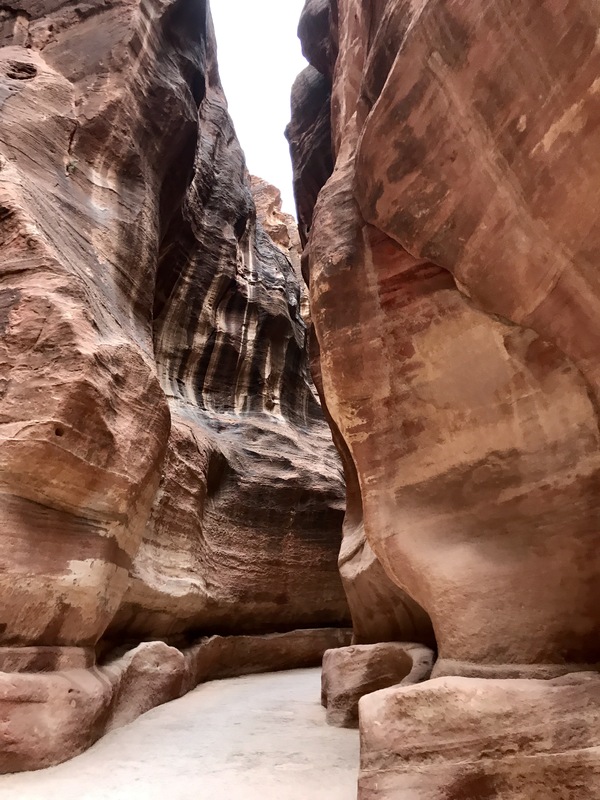 Wadi Musa translates to “river of Moses”, and the speculation is that this is where Moses struck the rock and water burst forth (which is supposed to have carved a lot of the canyons here). Thought that was fascinating. 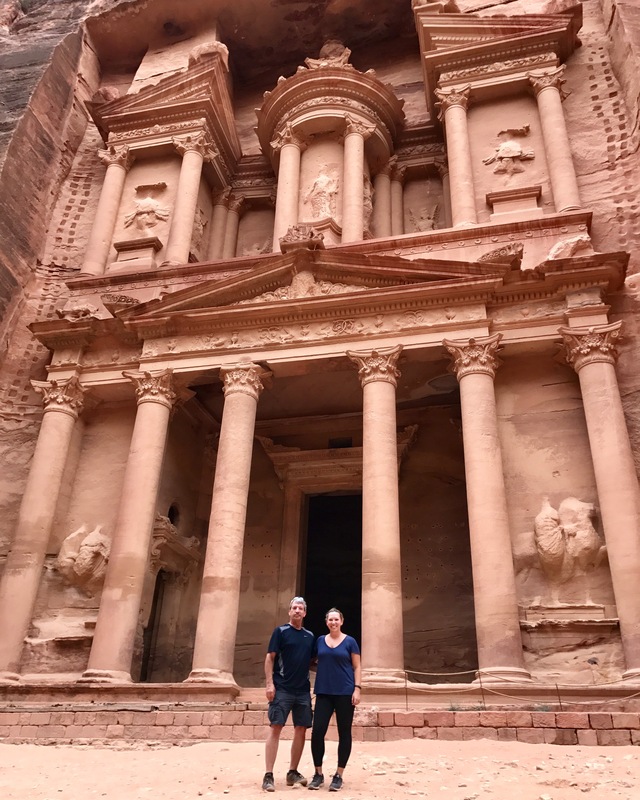 What’s crazy about Petra is that the famous Treasury building (photo above of me and Dad in front of it, and made famous by an Indiana Jones movie) is just the tip of the iceberg when it comes to Petra’s amazing architecture. 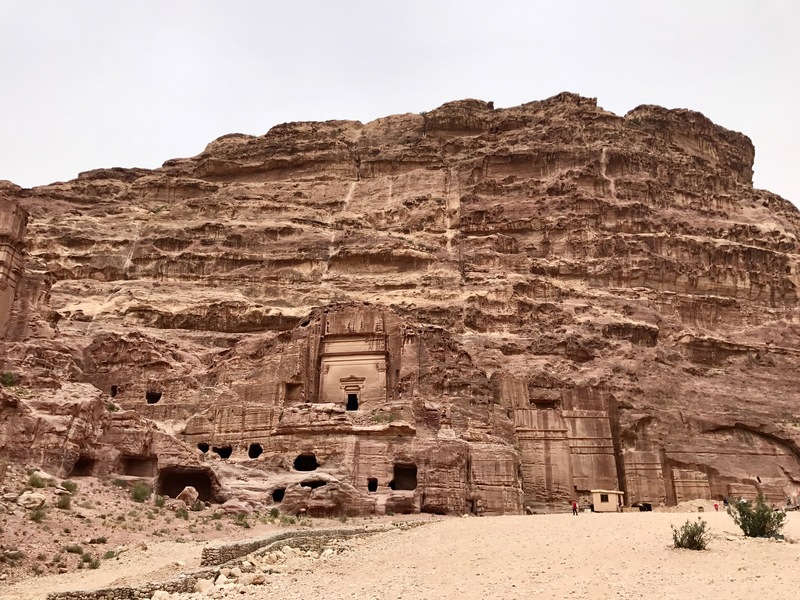 There are hundreds of buildings carved into the cliffs over the entire area, many with very intricate and delicate motifs. You also see things like a more traditional Greek amphitheatre and columns along the “Colonnaded Street”, indicating that the Nabateans had some Hellenistic influence due to trade. 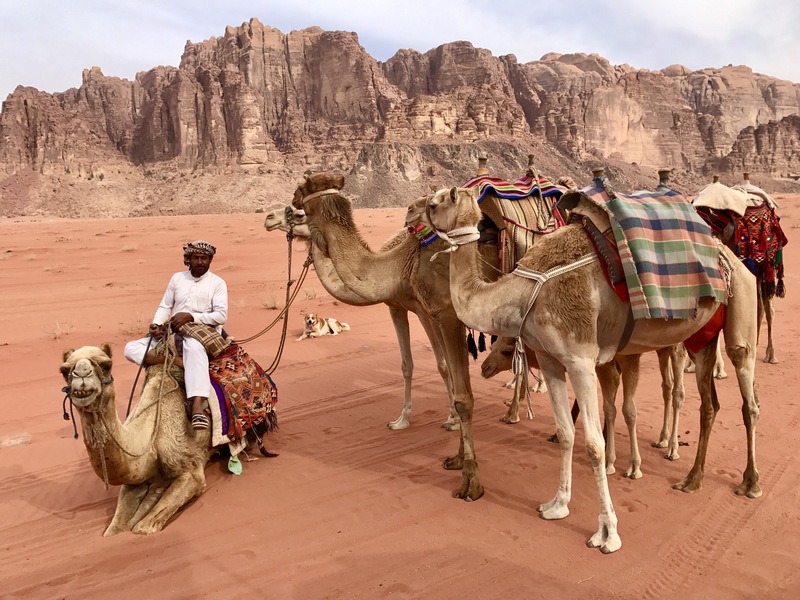 The locals who hang out inside Petra and try to sell everything (but particularly mule and camel rides) are born hustlers. 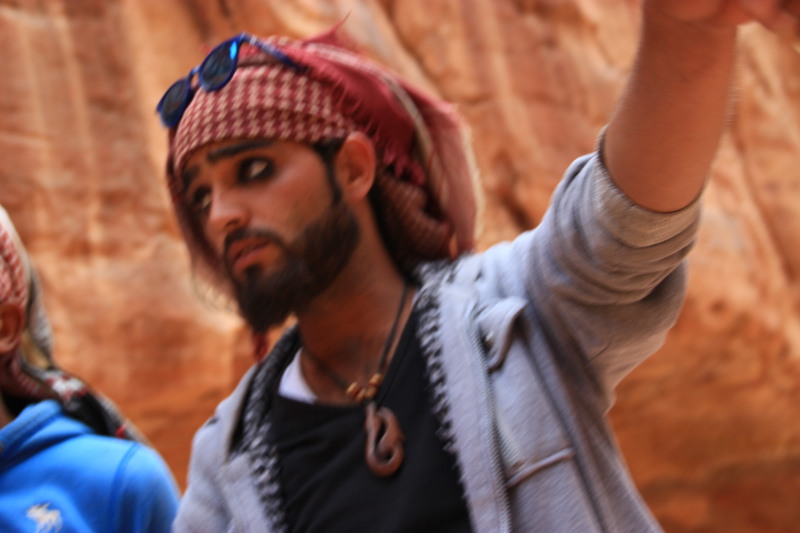 A lot of them dress as Captain Jack Sparrow from the Pirates of the Caribbean movies…apparently they used to dress like Indiana Jones but switched to Captain Sparrow because it fit their own cultural vibe much better—the black kohl around the eyes has been a Bedouin tradition for centuries, and is thought to protect against the “evil eye” as well as help reduce the sun’s glare. 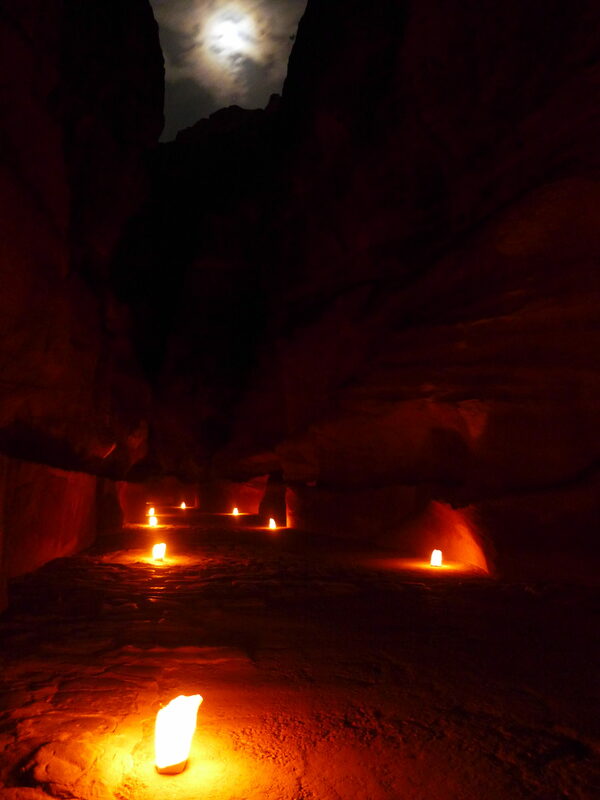 I went to the Petra by Night experience, something that I’ve been dying to do for years. They put lit lanterns all along the path down to the Siq and the Siq itself, then tons of lanterns in front of the Treasury. 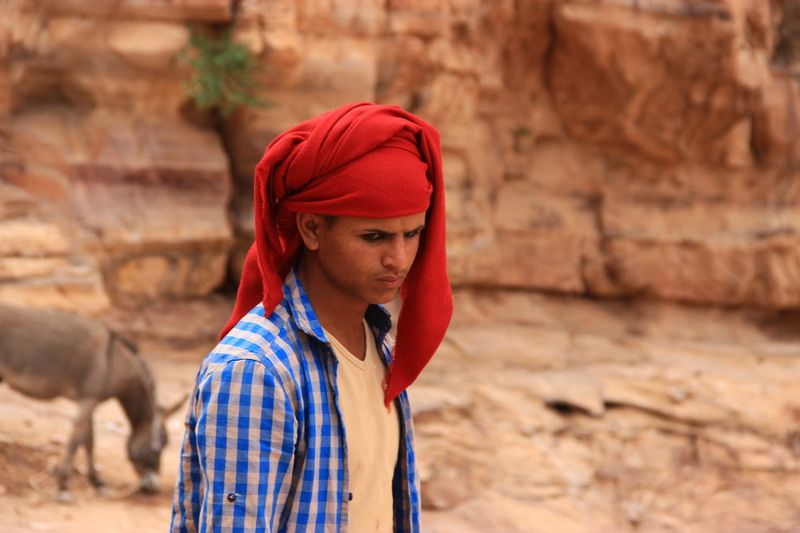 There’s traditional Bedouin music and it’s really a mesmerizing and beautiful experience in the middle of the desert with the stars above. 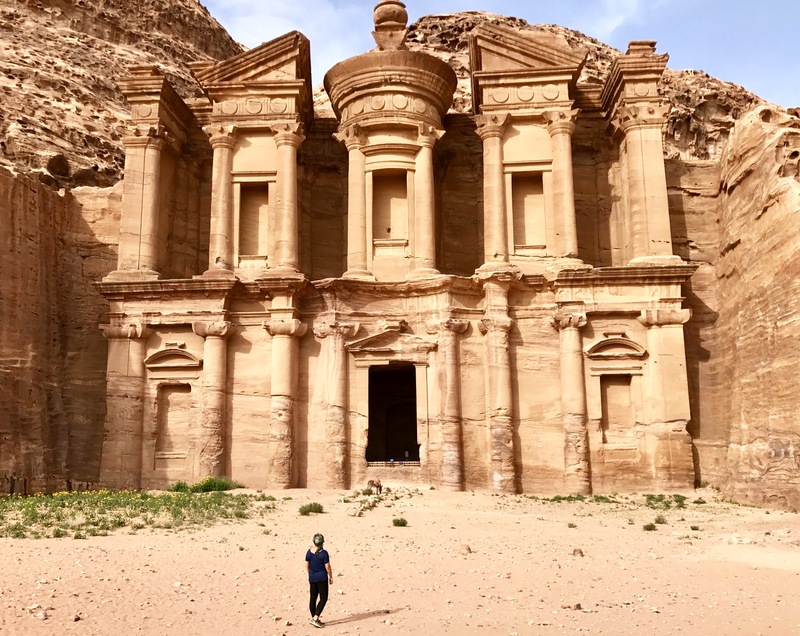 Though it was only for two days, we felt we’d gotten a great taste of Jordan’s landscape, history, and culture. 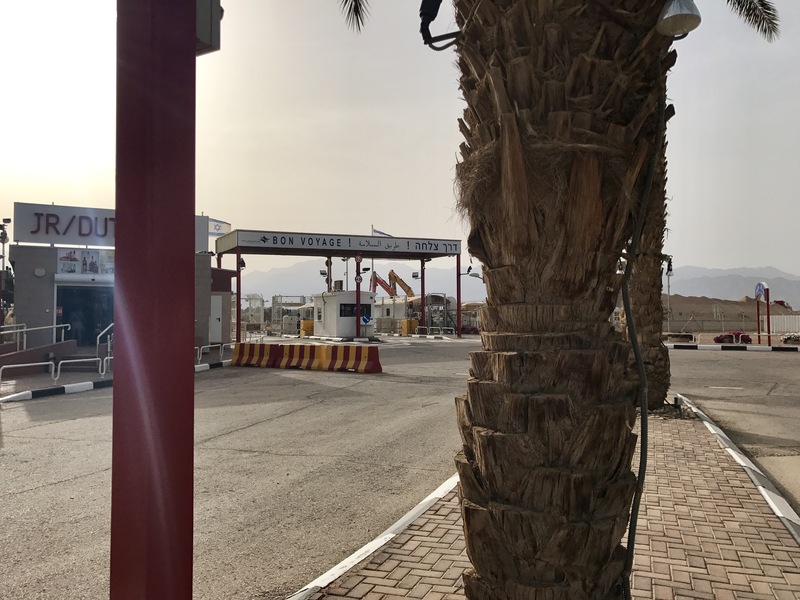 From here, we took a taxi from Wadi Musa back to Aqaba and met our friends across the border in Eilat. Next stop, Jerusalem! 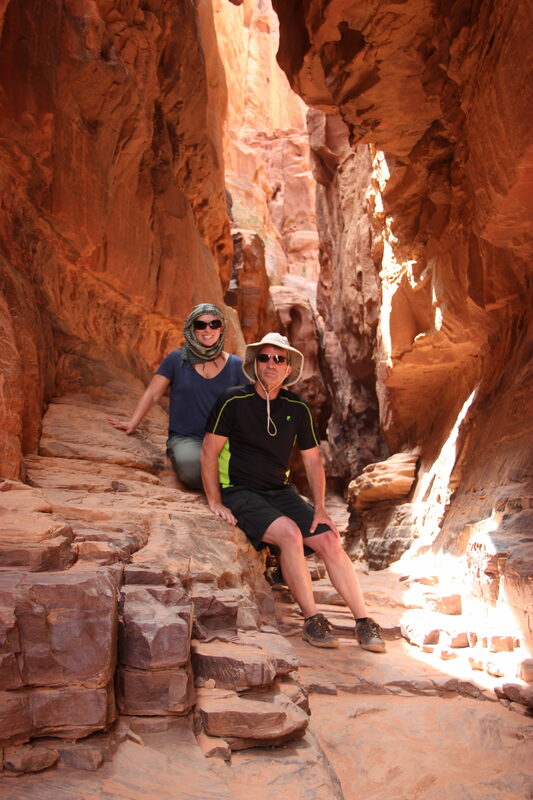 In case you missed them, read through the other posts on our tour through the Holy Land!